On the Giri stage, the official opening ceremony took place. The founders and the core team stood there, welcoming and thanking everyone who came, also the lineup for this year. 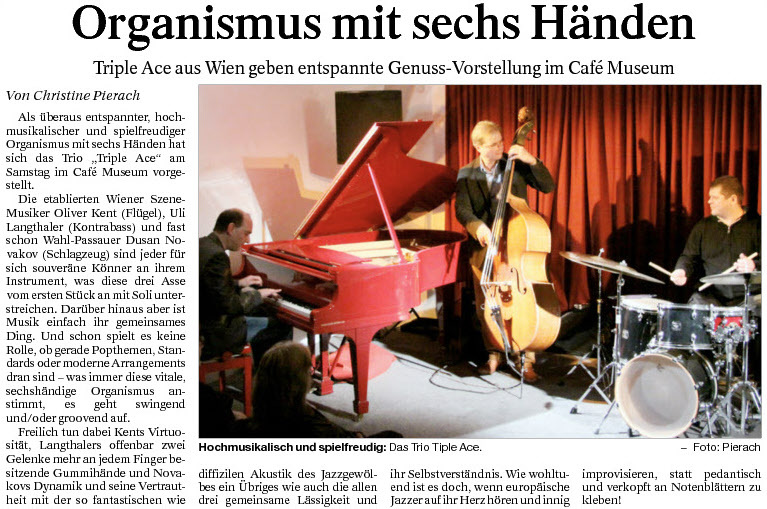 Directly after that, Vienna-based trio, Triple Ace – Colours in Jazz took their position. 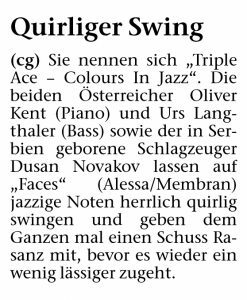 It’s certainly fascinating to have the trio of Oliver Kent (piano), Uli Langthaler (bass) and Dusan Novakov (drum) bring something fresh and energetically exiting. You could see that each player has special ability, then imagine when they join forces. After travelling around the world from USA to Israel, from Russia to Cuba and Mexico, from South Africa to Thailand, Vietnam and Mongolia, now they have arrived in Indonesia, particularly in Bali. Jazz speaks loud right from the start as the band locked into action, including wicked solo and tradings. Then they waltz in straightahead seamlessly, letting us feel the fine blend between American and European jazz. They also featured the founder, Yuri Mahatma who gave even more dramatic sound with his ellegant guitar playing. Yes, all of them are strongly related to jazz tradition, you could see that clearly, at least by the way they improvise. You can also see that they are open minded in creating their compositions. Elegant but playful, sticking to jazz tradition but somehow still feels contemporary. The name says it right. Triple Ace – that’s they are, and Colours in Jazz – that’s what they do. 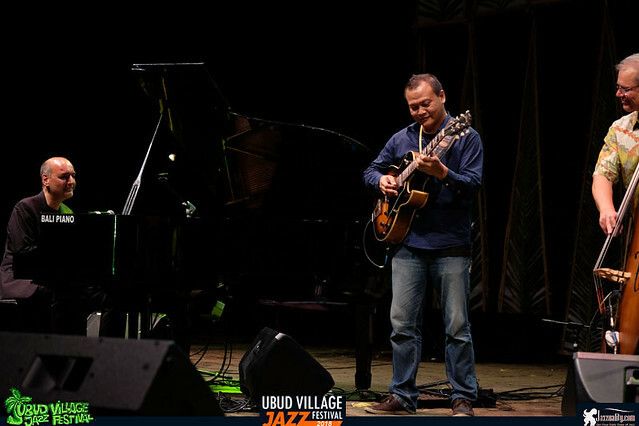 Austrian jazz band enlivened the road to The Papandayan Jazz Bandung Festival (TPJBF) 2018 last Tuesday, August 7, 2018. 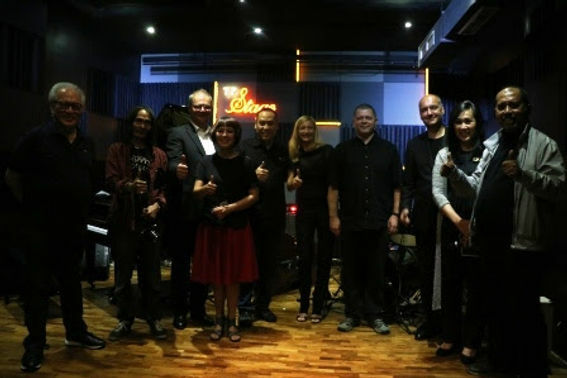 The event that took place at TP Stage – The Papandayan presented Triple Ace – colors in jazz. 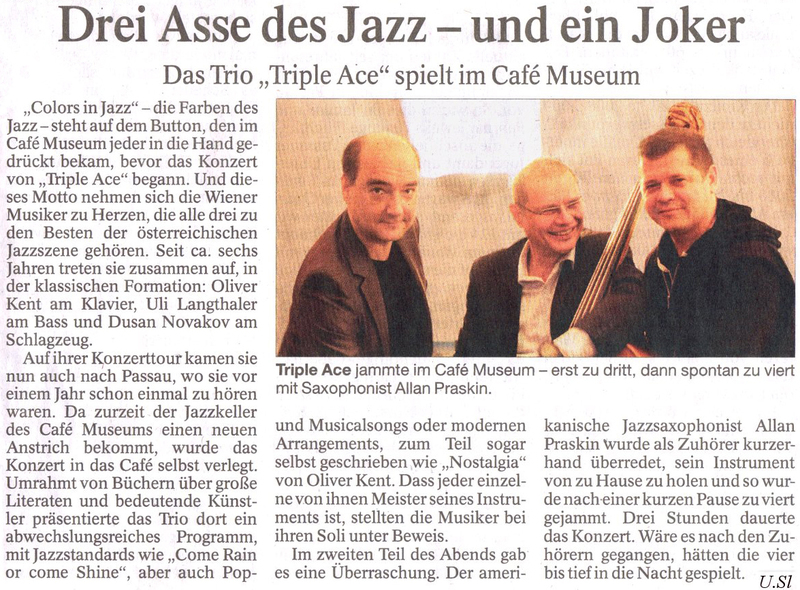 Triple Ace – colors in jazz is a jazz group from Vienna, Austria. 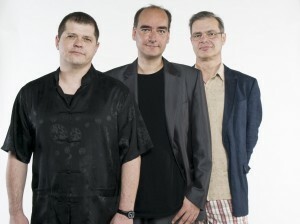 The group consists of Oliver Kent on the piano, Uli Langthaler on bass and Dusan Novakov on drums. 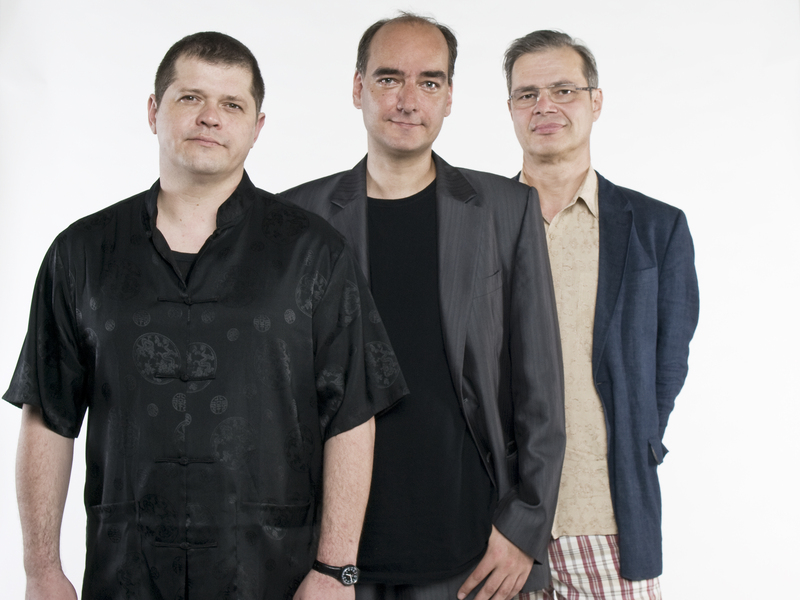 Triple Ace – colors in jazz has previously played at jazz festivals throughout Europe as well as at international jazz festivals in the United States, Cuba, Israel, China, Vietnam, Thailand, Indonesia, Russia, Mongolia, Mexico, Tunesia, Ukraine and South Africa. At 8 pm TP Stage is full of jazz musicians who look forward to Triple Ace’s appearance – colors in jazz. Before entering the main event, Blues Libre appeared as the opening band and their performance managed to heat up the TP Stage last night. Exactly at 9 pm, R. Bobby Renaldi as the General Manager of The Papandayan and Jimmy as representatives of the Indonesia Jazz & Blues Club (IJBC) opened the road to TPJBF. 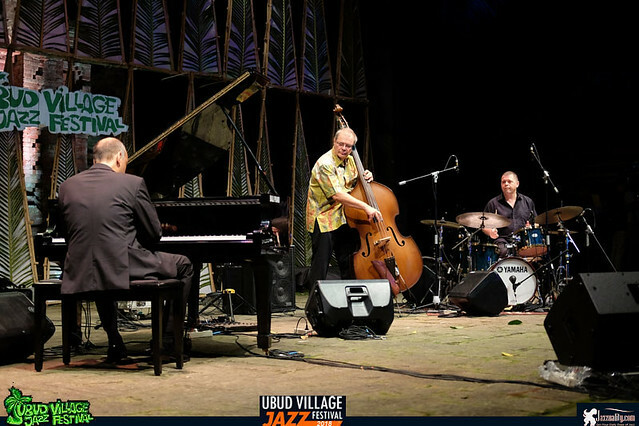 The program continued with the Triple Ace performance – a long awaited in-jazz presentation. On this occasion they performed 5 songs from their own arrangement. The TP Stage was getting warmer with Triple Ace – colors in jazz. They looked stunning with their composition, improvisation and unique style of music. 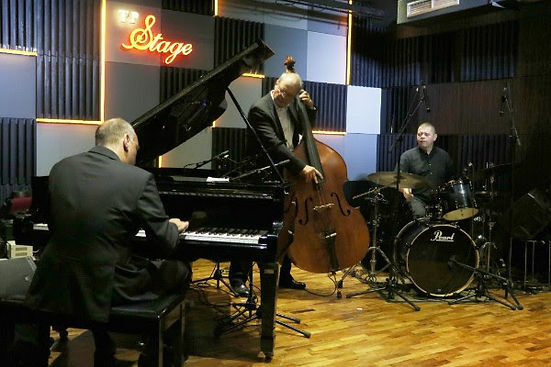 The combination of contemporary and popular jazz elements they successfully brought elegantly and successfully spoiled the ears of the audience. Was die unglaublich leichtfüßig aufspielende Truppe in exzellenter Art und mit wunderbar melodischem Drive darbietet, ist ein überaus bunter musikalischer Mix aus den unterschiedlichen Spielarten des Jazz und anderen Genres. Sogar Elemente aus der Popmusik finden da und dort in dezenter Form Eingang in den Sound des Dreiergespanns. Dieser offene Zugang spiegelt sich klarerweise auch in der Sprache dieser Formation wider. Die Eigenkompositionen wie auch die sehr gelungenen Neubearbeitungen von Klassikern der Jazzgeschichte offenbaren sich als Ausdruck einer großen musikalischen Vielfalt, in der sich Unterschiedlichstes auf sehr kunstvolle und mitreißende Art verbindet. Dabei lassen es Oliver Kent und seine beiden Mitstreiter ebenso dynamisch, impulsiv und beschwingt wie auch gediegen, elegant und richtig schön smooth angehen. Genügend Raum lässt sich das Trio auch für gelegentliche Improvisationen, was den Grad der Abwechslung des Dargebotenen zusätzlich nach oben schraubt. Die Formation triple ace wird zum Spielen und Erzählen geladen. Jeder für sich darf als Meister seines Instruments gelten. 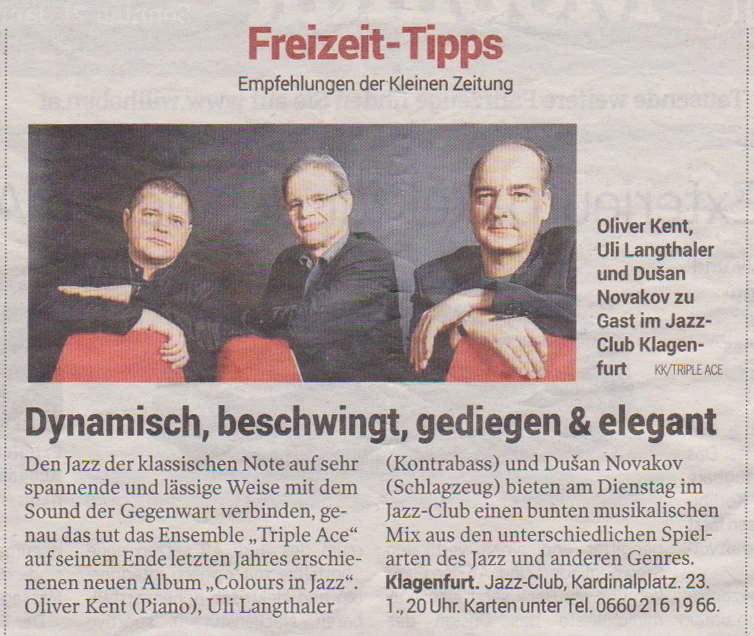 Zu dritt brillieren Pianist oliver kent, Bassist uli langthaler und Schlagzeuger dusan novakov mit Jazz-Standards, Eigenkompositionen und gewitzten Versionen von Popsongs.